When I’m not reading or writing a picture book, I enjoy reading adult fiction. I love wearing Saris and never miss a chance to sing and dance to Bollywood music. I love to eat as much as I love to cook. I take great pleasure in spending time with the family, and when not lost in a good book, I enjoy movie marathons with my husband and three beautiful children. Dance poses from when I was 14 years old. 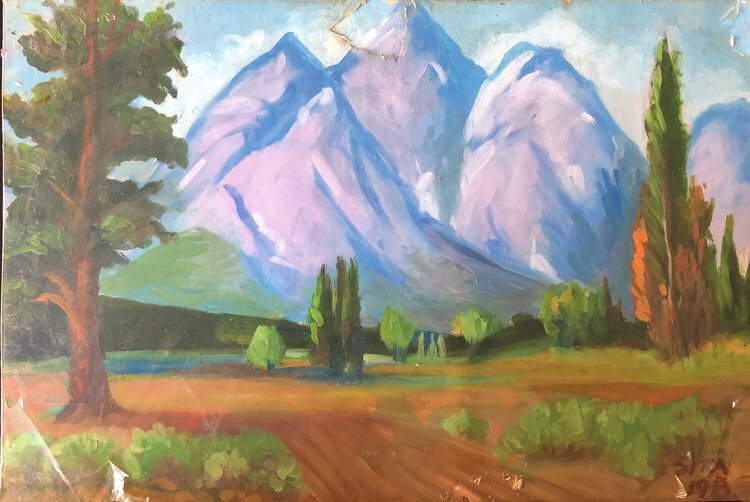 Oil on Canvas from my early teenage years. Some of the myths and fables that have traveled with us from India over the years. Books are an integral part of our lives and they humbly sit around in my house. This is What led me to write. When I think of stories, my first memory is of our Ba (grandma, in a dialect of India) telling me and my brother one story every night. She didn't know how to read or write but she spoke of several experiences, beliefs, myths, legends, fables and folktales. Even though my parents are not highly educated, they encouraged us to read and gave us access to the library at an early age. While in school, I learned to paint and draw. 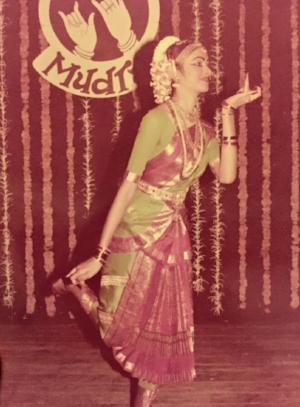 I also completed seven years of training in Indian classical dance and music. Many stories were told through all these art forms. In college, I graduated with a Bachelors in Architecture. That’s where I also met my husband and after getting married, we moved to the United States. I worked as an Urban Design Consultant for Treasure Coast Regional Planning Council in South Florida before deciding to stay home for our three children. While raising the kids, I searched for books that would help them understand where we came from. But those kind of books were hard to find in America. So they traveled with us from India- once every year, in large quantities, packed in suitcases along with pickles and spices. With every trip, our collection of heroes and legends, kings and demons, gods and goddesses, and myths and fables from India grew larger and larger. As the kids were growing up, a story every night became a practice in our household. I told them stories passed on to me by grandparents and great grandparents. Surprisingly, they had stayed with me through all these years. I realized the power of storytelling and that's when I decided to write for a larger audience. This decision was further influenced by my own experiences of raising three first generation of Indian American children in this country. I learned a new medium to tell my stories. I read and studied hundreds of picture books and every book has taught me something. I took classes and attended several conferences to learn the craft of writing. The SCBWI community and my local critique groups continue to help me grow as a writer.